I can confirm that Ansett had B767s with a flight engineer’s station having spent a fun 1/2 hour on the cockpit way back chatting with the crew. The engineer took me through his systems and, basically, it was all the EFIS screens plus a bit more. Even he was willing to admit there wasn’t much need for him on that aircraft. Thanks for the podcast, as usual I enjoyed it a lot… except when it came to Aircraft maker choice. Now I do respect your opinions even if disappointed by them. Speaking as an Australasian, I think you’re lucky to have a commercial Airplane industry at all but Boeing is all you have left. A lack of support from within America will eventually lead to no domestic manufacturer and we’ll all be stuck with trash talking Airbus salesmen as the only choice. 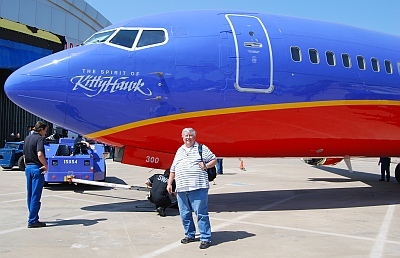 Now I understand Rob Mark didn’t get to pilot a 747-8 so I know where his loyalty lies. He probably still eats “French Fries”. Maybe some thought should go to Rob’s “Union allies” and what they are going to do for jobs post Boeing? Deepest sympathies to the family and friends of Brian.